Review: Loyola University Maryland is a Roman Catholic, Jesuit private university in Baltimore, Maryland, United States. Established as Loyola College in Maryland by John Early and eight other members of the Society of Jesus in 1852, it is one of 28 member institutions of the Association of Jesuit Colleges and Universities, the ninth-oldest Jesuit college in the United States, and the first college in the United States to bear the name of St. Ignatius of Loyola, the founder of the Society of Jesus. Loyola's main campus is in Baltimore and features Collegiate Gothic architecture, as well as a pedestrian bridge across Charles Street. Academically, the university is divided into three schools: the Loyola College of Arts and Sciences, the Loyola School of Education, and the Sellinger School of Business and Management. It operates a Clinical Center at Belvedere Square in Baltimore and has two graduate centers in Timonium, Maryland, and Columbia, Maryland. The student body is composed of a little less than 4,000 undergraduate and 2,600 graduate students, representing 34 states and 20 countries, and 81% of undergraduates reside on campus. The average class size is 25, with a student-to-faculty ratio of 12:1. Approximately 65% of the student body receives some form of financial aid. Campus groups include the Association of Latin American & Spanish students (ALAS) and the college newspaper, The Greyhound. Notable alumni include Tom Clancy, author of The Hunt for Red October and Mark Bowden, author of Black Hawk Down. Loyola's sports teams are nicknamed the Greyhounds and are best known for the perennially ranked men's and women's lacrosse teams. The men's lacrosse team's biggest rival is nearby Johns Hopkins University. The annual lacrosse games played between these two institutions is known as the "Battle of Charles Street", formerly called "The Charles Street Massacre." 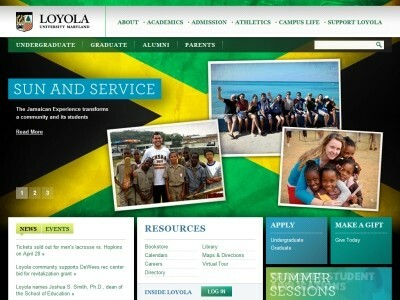 The school colors are Loyola green (PMS 561) and gray. 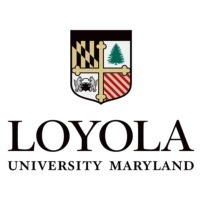 Location & access map for "Loyola University Maryland"